You are cordially invited to the Montreal book launch of Sherwin Tjia’s Choose-Your-Own-Adventure style book You Are a Cat in the Zombie Apocalypse! (the exciting sequel to 2011’s You Are a Cat! Now in its third printing!) TONIGHT, Thursday, November 21st at 7 pm! Join the author as he gives a charming Powerpoint talk about how this book, suffused with multiple endings, was made! Secrets will be revealed! Copies will be signed! Powerpoint slides will be slid and hearts will be throbbed! 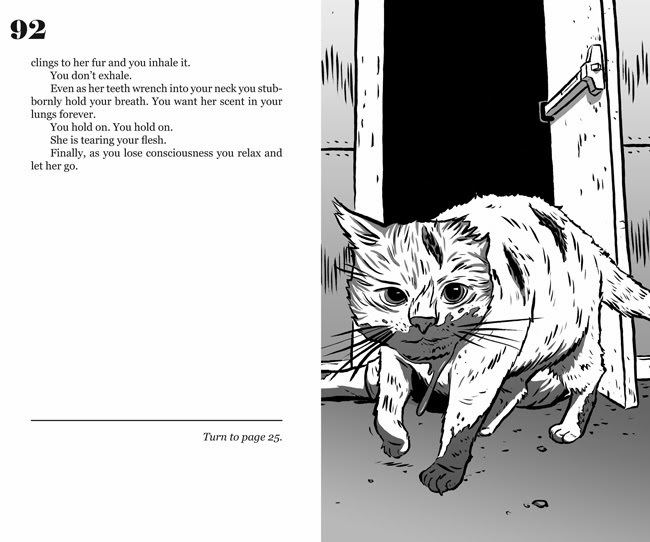 Inspired by the gamebook fad of the ‘80s - You Are a Cat in the Zombie Apocalypse! is the much anticipated sequel to the first book in the Pick-a-Plot series, You Are a Cat! Lavishly illustrated from the first-person feline floor purrspective, the furightening and appawling You Are a Cat in the Zombie Apocalypse! is a horror tail that will stalk you, surround you and eat you alive. 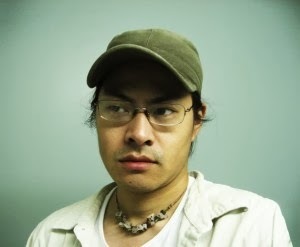 Sherwin Sullivan Tjia is a Montreal-based writer and illustrator who has written eight books. The World is a Heartbreaker, a collection of 1600 pseudohaikus, was a finalist for the Quebec Writer’s Federation’s A.M. Klein Poetry Award. The Hipless Boy, a collection of short, interconnected stories told in graphic novel form, was a finalist for the Doug Wright Award in the Best Emerging Talent category, and also nominated for 4 Ignatz Awards. His invention, The E-Z-Purr: The Virtual Cat! (an album with over an hour of cats purring) is available on the iTunes music store. In his spare time, he organizes Slowdance Nights, Love Letter Reading Open Mics, Crowd Karaoke singalongs, and Strip Spelling Bees in and around Montreal and Toronto as Chat Perdu Productions. Thursday, November 21 at 7 pm! 211 Bernard Ouest!